More of the latest spiritual songs that have been commissioned for various celebrations of Maninagar Shree Swaminarayan Gadi Sansthan around the world are contained in this CD. 'Chittade Choti Murti Bapani' (The Murti of Bapa has been affixed to my heart). 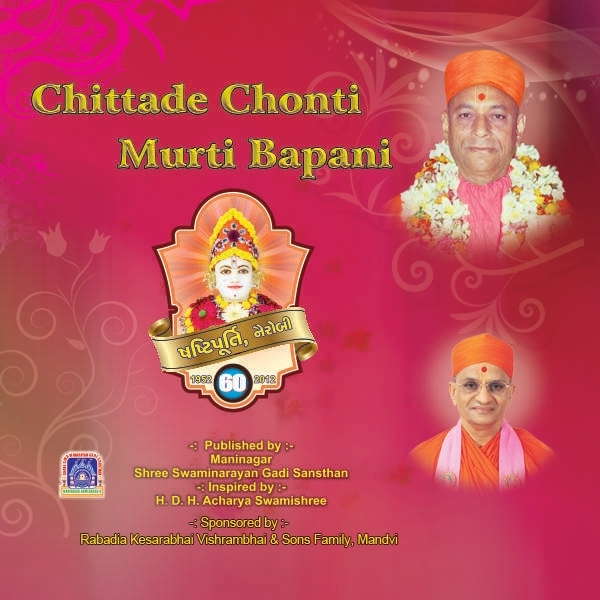 The CD was released during Shree Ghanshyam Maharaj Shashtipurti Mahotsav, Nairobi. The lyrics of this compilation were written by Sadguru Shashtri Shree Sarveshwardasji Swami and music arranged by Amit Thakkar.